Our Portal Pay-off AVR 20 meets the demands of a heavy load carrying capacity and a broad reel range due to extending production lengths. The frame design allows reel loading from the rear or the front side of the machine. Different frame lengths and the possibility to mount on rails helps in reel logistics. The pay-off is a hanging pintle portal design. The pay-off has two main components: the portal frame and the carriage. The telescopic lifting arms are suspended from the moving carriage, which is wheel mounted on the beams. All pintle movements, up down and in out, are motorized. The reel is dog pin driven by a Vector controlled AC motor over a gearbox. 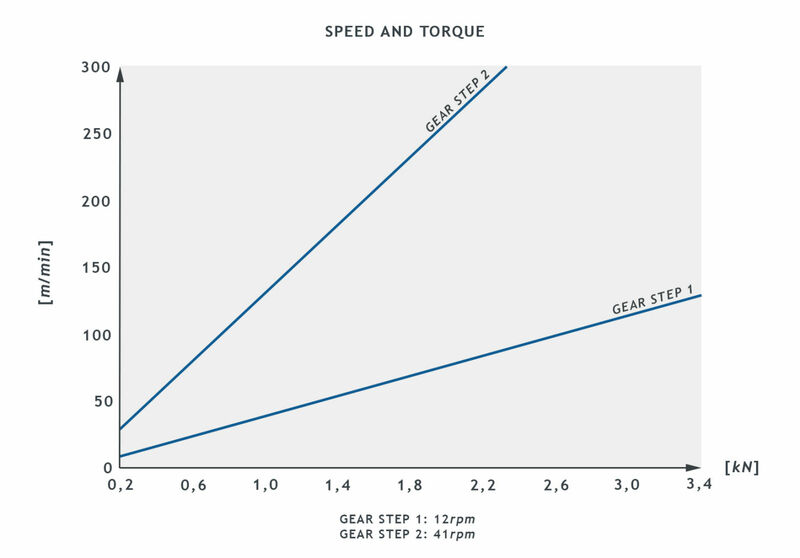 The main motor can be run with a constant torque, or controlled by either a dancer or an accumulator. The motor has forced ventilation and is equipped with an electromagnetic brake. The brake can function as a holding brake or an emergency stop brake. One set of pintles is included in the machine price. Further sets can either be ordered from Maillefer or made according to manufacturing drawings, which are enclosed in the manual. 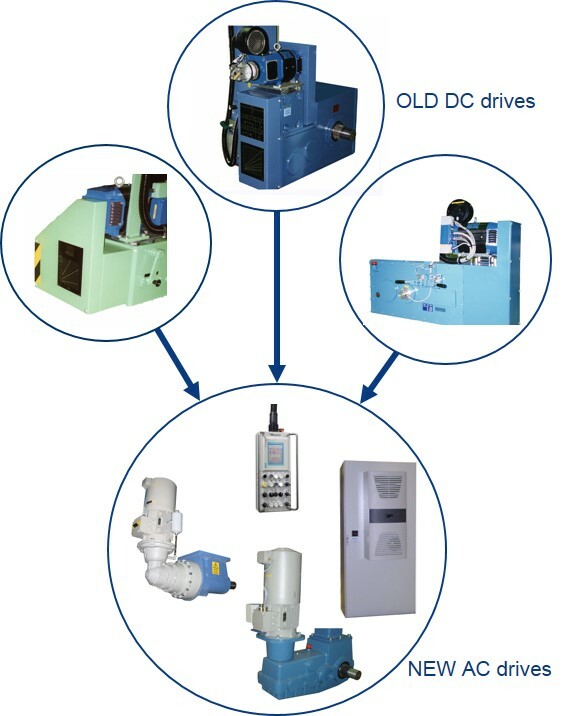 All functions, such as reel rotation, traversing, pintle movements and auto reel handling, are activated and controlled from the hanging control panel. The pay-off beams are long enough to allow the carriage to traverse over the reel width. The carriage traverses during operation to maintain a near straight centerline of the cable. A separately quoted device controls the traversing of the reel. 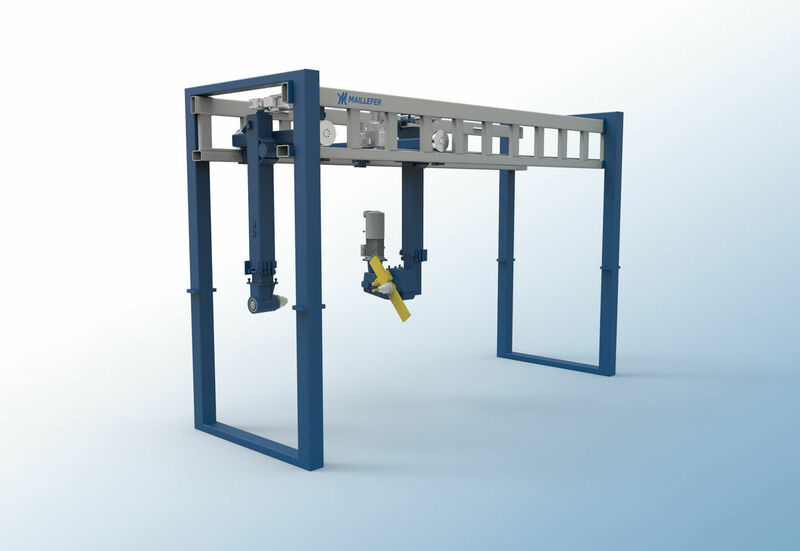 An automatic positioning of the carriage from the loading position to the production position and vice versa can be activated by pressing a button. The full reel moves automatically to the reel change position. The reel is lowered and the pintles are opened. After the pintles are manually entered into the empty reel, a second button is activated, and the reel is lifted and moved sideways to the working position. The machine is surrounded with safety fences to protect the operator and outsiders from the moving and rotating parts of the machine. The manually operated turning doors on the rear and the sliding door on the front of the machine are equipped with electromechanical locks. The main motor and automatic functions cannot be started before all the doors are closed and locked.